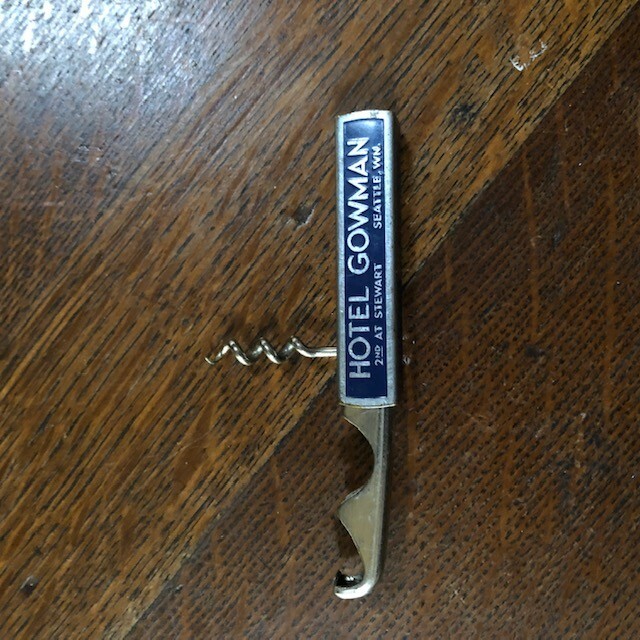 Sliding Pocket Hotel Gowman corkscrew - Blue Version ! Hotel Gowman; 2nd AT Stewart, Seattle - WN. - "The Hotel with a personality"
"Where Hospitality Centers" - T.Harry Gowman; manager. So called M-73 type opener with corkscrew. Good condition with some normal wear (see pics for details) - no reserve.